If you are looking for a college where you̠ll feel at home right away, a place where you will get to know your professors well and grow through one-on-one attention, excellent instruction and an opportunity to dive into out-of-class learning opportunities, look no further than St. Catharine College in Kentucky. You̠ve found your college home.Our campus is fully committed to delivering career-focused education grounded firmly in a proud liberal arts tradition. When you graduate from St. Catharine College, you̠ll be well equipped to pursue the career of your choice, well rounded as a person and a devoted lifelong learner. We are especially proud of our over 98 percent placement rate for our health science graduates. Our education program also boasts a high placement rate and is known statewide for the excellence of the teachers we graduate each year. 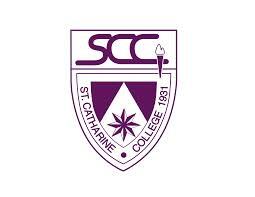 St. Catharine College̠s education program is the first completely field-based education program in the state of Kentucky.